When on times that you just wanna revert from the start because you installed some apps and it messed up your R9 Plus, you hard reset it. Here’s how you can hard reset your Oppo R9 Plus. Turn off your device and wait for 30 seconds for the power to fully drain out the phone. Tap to select a language for the recovery interface. Now select Wipe Data and Cache by tapping on it. Now tap Yes to perform wiping operation. Tap REBOOT, then OK to restart your device. After hard resetting your Oppo R9 Plus, you will need to set it up again like what you did when you first had it. Click the button to learn more about the features of the new Oppo R9 Plus. 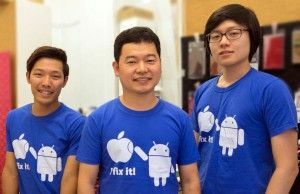 Let the Sydney CBD Repair Centre Team help you reset your R9 Plus! We specialize in Screen Replacement services.